Is there anything that can't be turned into a board game? There are a huge number of board games based on video games, but while this particular upcoming tabletop experience might not originate from an actual title, it does feature a popular genre: battle royale. As noted by Kotaku, the aptly named Last One Standing uses some of the mechanics found in games such as PUBG and Fortnite: Battle Royale—loot drops, a shrinking play area, and the aim of being the last person left alive. 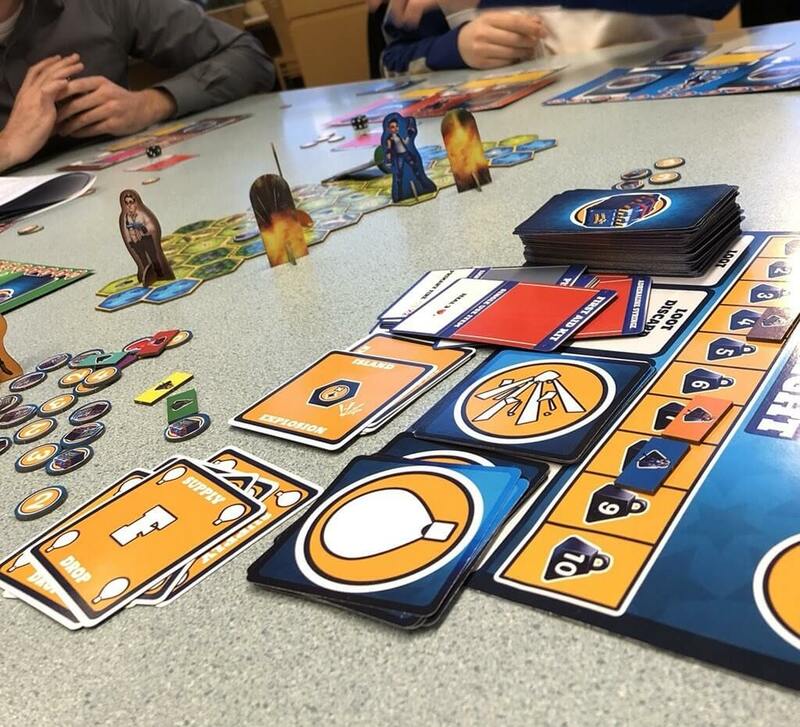 Lead designer Brendan McCaskell said that he was looking for a strategic board game for 6 – 8 people to play but found it was mostly party games that could fit so many players. Having recently enjoyed PUBG, he decided to design a hex-based board game based on the popular battle royale title. The first phase of each turn in Last One Standing involves either a loot drop or players removing one part of the map. The next phase lets them move eight tiles in any direction, pick up and equip loot using a card, and attack others, presumably using dice rolls. Interestingly, it's a character’s weight, which is based on how much equipment they’re carrying, that determines the turn order. “Just like in the video games the battle royale genre creates unexpected moments, but now they are shared in your community of friends,” McCaskell said. While the idea of sitting around doing nothing after being knocked out sounds dull, McCaskell claims most players will last until round six of the ten-round matches, and most games last between 30 and 80 minutes. You can even team up with another player for the duos mode. The game hits Kickstarter on May 1, where it will cost $40 per copy (plus shipping). You can find out more about the characters and sign up to the mailing list via the website. There's extra info on the game's Facebook page and Twitter account. Earlier this month, another video game-based board game, Street Fighter: The Miniatures Game, passed its $400k Kickstarter target inside 24 hours. With seven days still to go, 6110 backers have raised over $1.2 million at the time of writing.